Students rehearse for Communication junior Simran Bal’s adaptation “Sohni Mahiwal.” The play is one of three original works that will be featured in Lovers and Madmen’s first adaptation festival this weekend. That’s why he pitched creating an adaptation festival to Lovers and Madmen, a group that produces classical and classically inspired works. Choi, who serves as Lovers and Madmen’s adaptation chair, said the group began collecting submissions last Spring Quarter, then narrowed it down to three. This weekend, the student works will come to life onstage in Shanley Pavilion. All pieces were inspired by “classic works,” such as fairy tales, mythology and religious stories, he said. The chosen adaptations — “Tatter and her Sister and also her Spoon,” “Sohni Mahiwal” and “Haus of Apolla” — were built upon and refined by the playwrights throughout the year, Choi said. Communication junior Simran Bal, who wrote “Sohni Mahiwal,” said she got involved in the festival because like Choi, she wanted to diversify the kinds of stories told onstage. “Sohni Mahiwal” is an adaptation of a Punjabi folk tale of the same name. Bal said she grew up hearing the original story from her grandmother, which inspired her to write her own version. Unlike the traditional folk tale, though, Bal’s work features additional characters — including the voice of the river, who acts as the narrator, Bal said. Communication senior Juliet Roll said her play “Tatter and her Sister and also her Spoon” is based off the Norwegian fairy tale “Tatterhood,” which was included in a book of feminist folk tales her mom read to her when she was growing up. The original six-page fairy tale served as the basis for Roll’s adaptation, which spans over 140 pages. Roll said her work has been called a “superhero origin story,” and features two sisters who are warriors. As a playwright, Roll said it was difficult walking the line between staying true to the traditional story and writing a compelling adaptation. The last adaptation — “Haus of Apolla” — follows Hermione, the daughter of Helen of Troy, and takes place in a drag house, according to the show’s description. Choi called the work a “wacky joyride through Greek mythology,” combining drag lifestyle and high drama with traditional Greek roots. Bal said it has been “incredibly gratifying” watching her adaptation come to life, and said the beauty of classic works comes from their timeless messages. 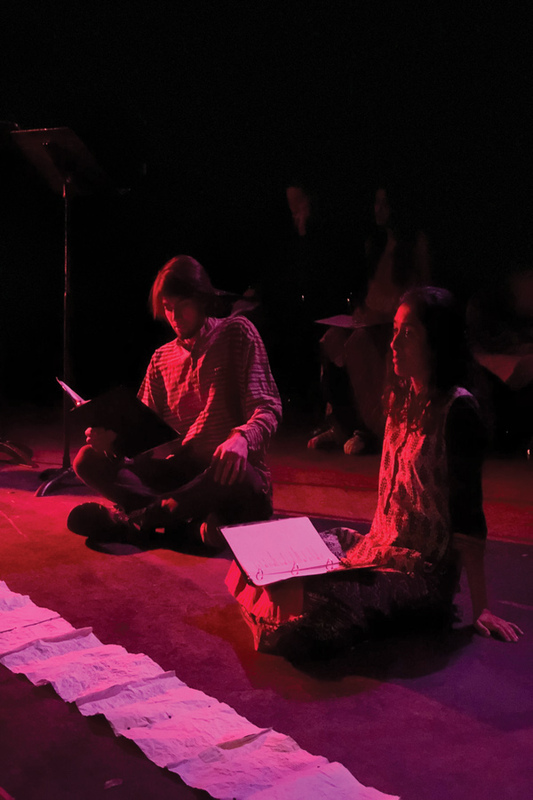 The three works will be presented as staged readings with simple lighting and stripped-down sets, Choi said. This allows playwrights to focus on reworking the script, he said, and gives audience members a “taste” of the shows’ potentials. Choi said he hopes the adaptation festival sticks around in future years because it allows writers to talk about traditional themes while adding their own contemporary twist.